Few mystery novelists can match the real-world expertise of James A. Ardaiz. A distinguished lawyer and jurist, Ardaiz has been a prosecutor who worked hands-on with investigators, a municipal court judge, and Presiding Justice of California’s Fifth District Court of Appeal. 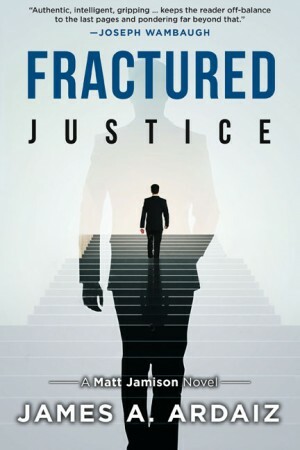 Ardaiz intimately knows the world of lawyers, detectives, and men who kill, and his experience shows in the gritty, coldly realistic action of his new legal thriller Fractured Justice. A legal thriller that follows a homicide case from the crime scene to the courtroom to a devastating aftermath, Fractured Justice introduces a new mystery series featuring assistant District Attorney Matt Jamison. In his first major case, Jamison is confronted by a meticulously staged crime scene—a dead woman, carefully scrubbed of all forensic evidence, laid out on a canal bank in Jamison’s rural Central California county. A serial killer is on the loose and adept at hiding his tracks. 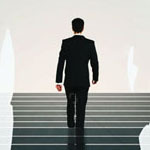 And before the murderer can be brought to justice, Jamison will lose his illusions about what justice means. As a new victim is abducted and investigators race against time to stop the murderer, Jamison must cope with a sophisticated and elusive killer, a politically-minded sheriff eager to claim credit and spread blame, mounting pressure to win a high-profile trial, and his own conscience as part of the machinery of justice. Featuring an intricate plot, a chillingly sophisticated villain, a dogged and determined protagonist and a clear-eyed assessment of how the justice system operates, Fractured Justice is a gripping, fast-paced and coldly realistic thriller—and a stunning debut novel by a remarkable new mystery writer. Get your copy of Fractured Justice here.